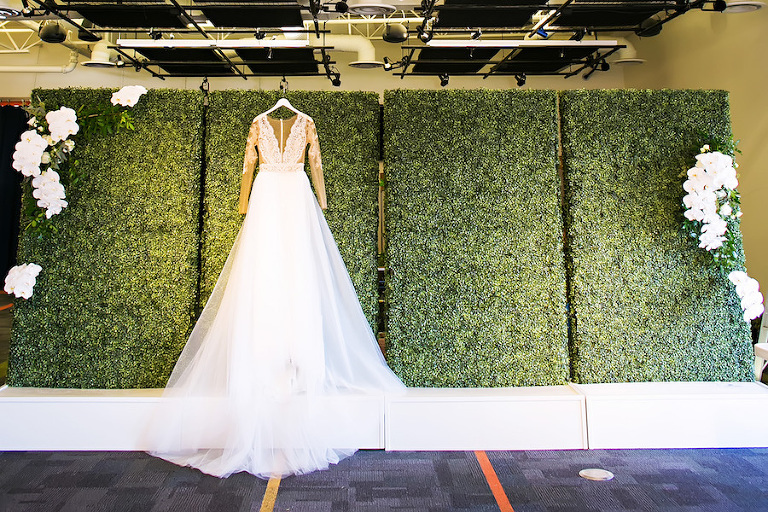 When you think downtown Tampa wedding, you may not think whimsical garden, but wedding planner Glitz Events transformed the Glazer’s Children Museum into a modern indoor, greenery inspired wedding venue. The hedge wall backdrop and clear ghost chairs from decor rental company A Chair Affair set the atmosphere for a garden inspired indoor wedding ceremony, while hanging chandeliers by Nature Coast Entertainment Services created a romantic mood. 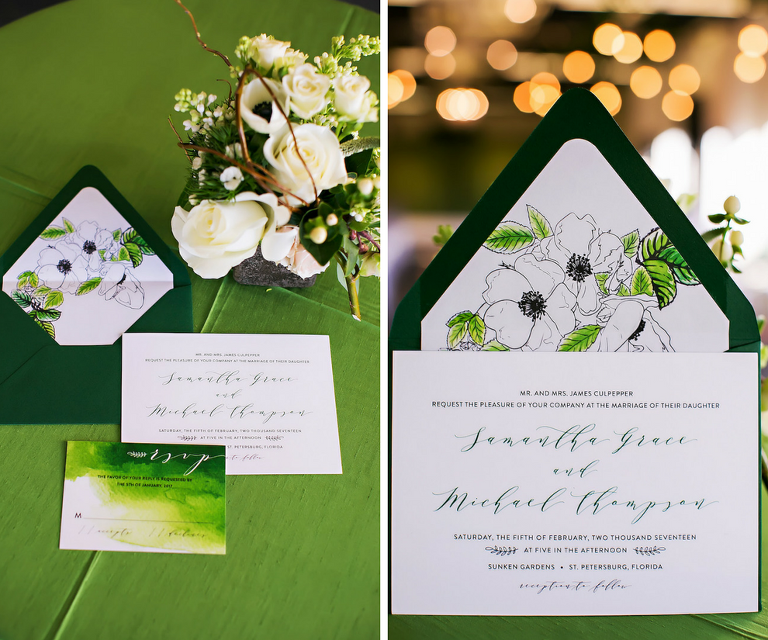 Connie Duglin Linen added pops of color with bold green napkins, which perfectly accented the calligraphy place cards and menus designed by A&P Design Co atop the glass top reception table with geometric white base. 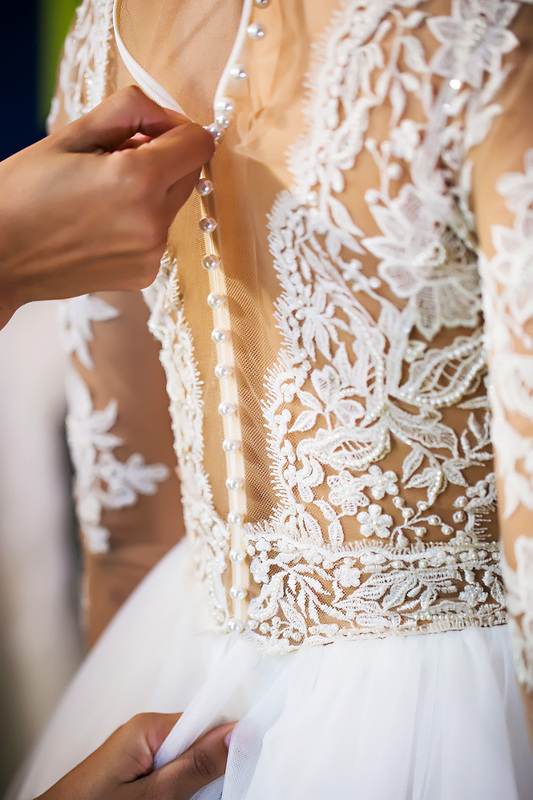 The bride’s wedding dress from Isabel O’Neil Bridal featured soft features of lace and tulle, but also incorporated modern elements with a plunging front and back neckline. 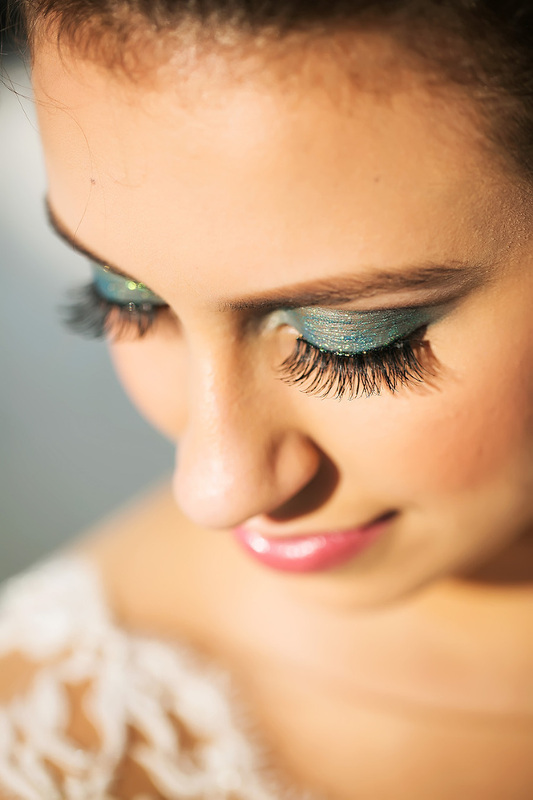 Michele Renee The Studio provided glamorous makeup with sparkling green eyeshadow and a curly bun to add a contemporary touch to the gorgeous bride. Offering one of the few rooftop wedding spaces in downtown Tampa, the Glazer’s Children Museum provided amazing waterfront views of Curtis Hixon Park, the Hillsborough River and Tampa Bay. The couple took in the scenery and posed for rooftop photos with a unique sparkler fountain provided by Nature Coast Entertainment. The round three-tier green and white geometric wedding cake by The Artistic Whisk was a piece of art in itself and was accented by matching cookie favors. Saltblock Catering created artisanal menu featuring a charcuterie spread and custom cocktails. 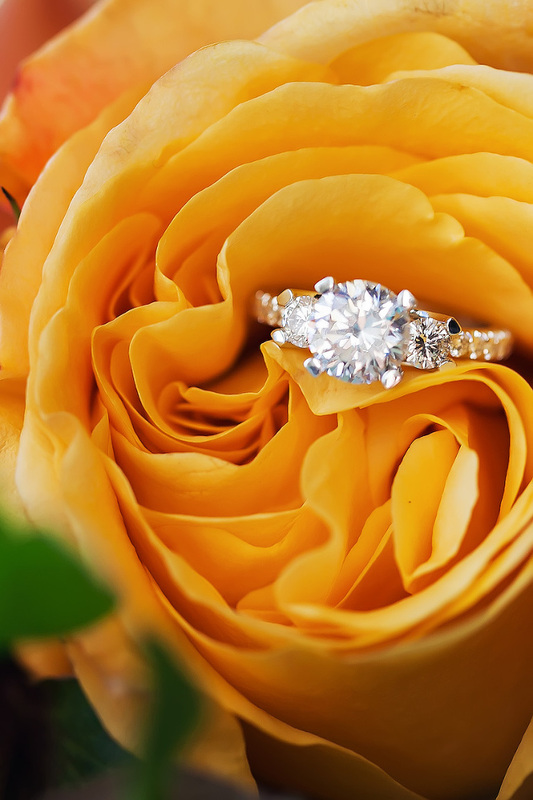 After refueling on bites and drinks, the couple popped over to the park to take advantage of the towering skyscrapers and park backdrop to celebrate with a cute for legged friend with wedding pet planner FairyTail Pet Care. Tampa wedding photographer Limelight Photography utilized the city’s nearby graffiti art to end the evening with a nighttime portrait session, while videographer Hatfield Productions captured the highlights of the day.